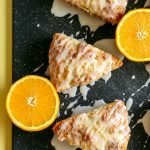 Orange yogurt scones with an orange glaze are an easy breakfast alternative to muffins made with fresh orange juice and yogurt that are a hit for brunch or even dessert! Don’t forget to enter the Easter Brunch Week giveaway at the bottom of the post. 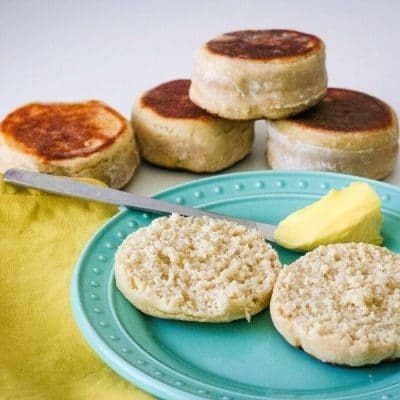 These scones were such a hit when I was testing them that my kids requested that I make them again the next week. 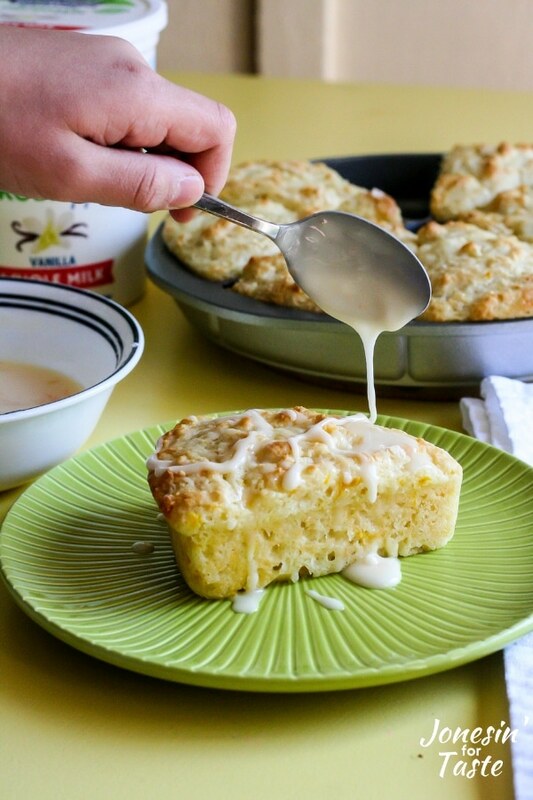 They have a nice flavor of orange with them thanks to the orange juice both in the batter and the glaze. 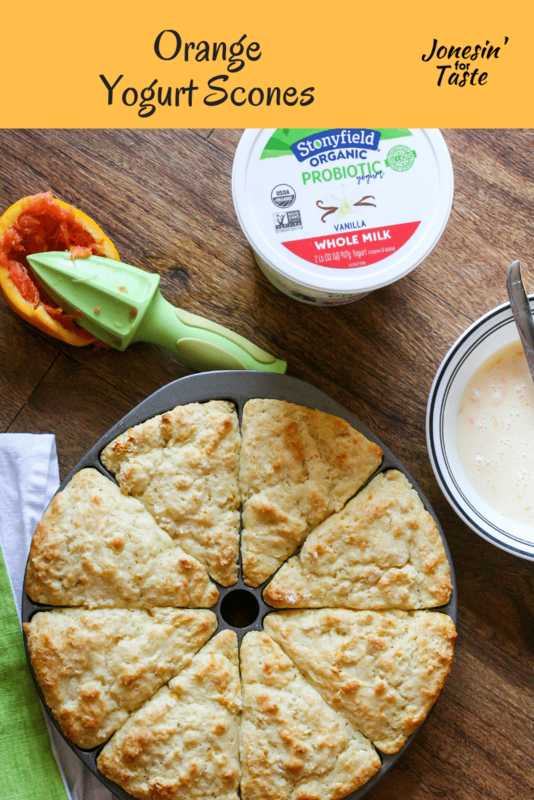 Often we think of American scones (not to be confused with British scones) as being dry and crumbly but adding the Stonyfield Organic yogurt to the mix gives these scones a moist, light crumb. 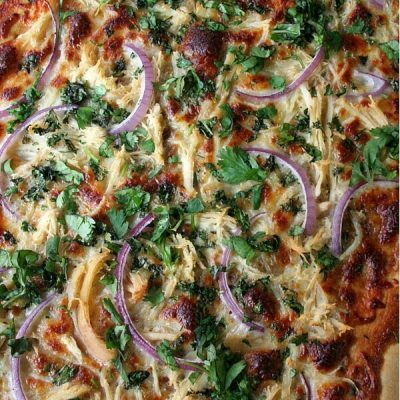 When topped with the orange glaze they are incredibly flavorful. These are sure to become a new favorite. I used the Stonyfield vanill probiotic yogurt but you could also use plain yogurt instead of vanilla and the result would be the same. Greek yogurt is thicker so the batter itself would be thicker. 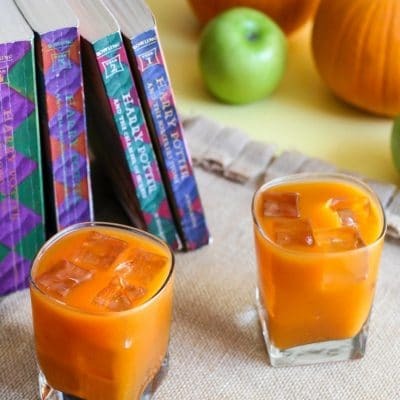 Having not tested this recipe with Greek yogurt I can’t tell you exactly what the difference would be although I’m pretty sure the difference would be small. This time, I baked the scones in a Nordic Ware scone pan which I really liked because I could get nice and even pieces that I didn’t have to handle a whole ton. Not having to handle it means that it stays nice and light. 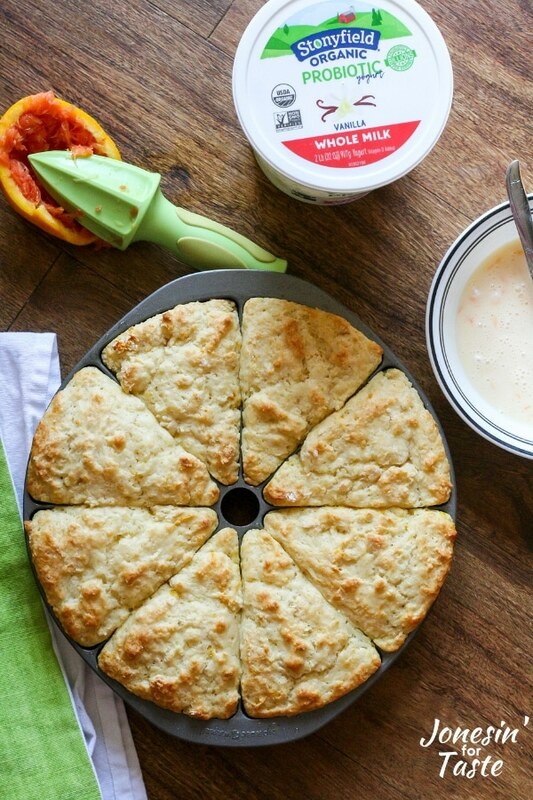 Preheat oven to 375 degrees F. Spray scone pan with cooking spray or grease with butter. Combine the flour, baking powder, baking soda, salt, sugar, and orange zest in a large bowl. Set aside. In a separate bowl, combine the egg, yogurt, melted butter, and orange juice. Add the wet mixture to the dry mixture all at once. 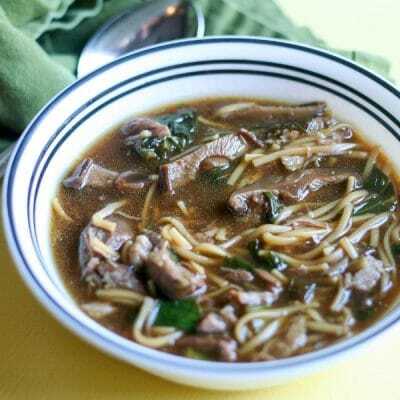 Fold the wet ingredients in gently just until moistened. Lumps will remain and that is okay. Spoon mixture evenly into each section. Bake for 20-25 minutes until golden brown on top. Allow to cool for 15 minutes before removing from pan. Meanwhile, mix powdered sugar and orange juice for glaze in a small bowl until smooth. If needed add up to 1 additional orange juice to achieve a smooth pourable glaze. 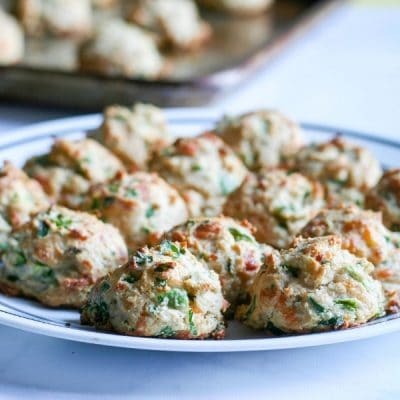 Use a spoon or fork to drizzle glaze over each scone. Alternatively, you can always form the mixture into a 8 inch circle on a greased cookie sheet or a cookie sheet lined with a silicone baking mat. Pat the mixture into an 8 inch circle on the prepared cookie sheet. Cut into 8 sections. Bake at 400 degrees F for 15 to 20 minutes until golden brown. Cool slightly before serving and glazing. 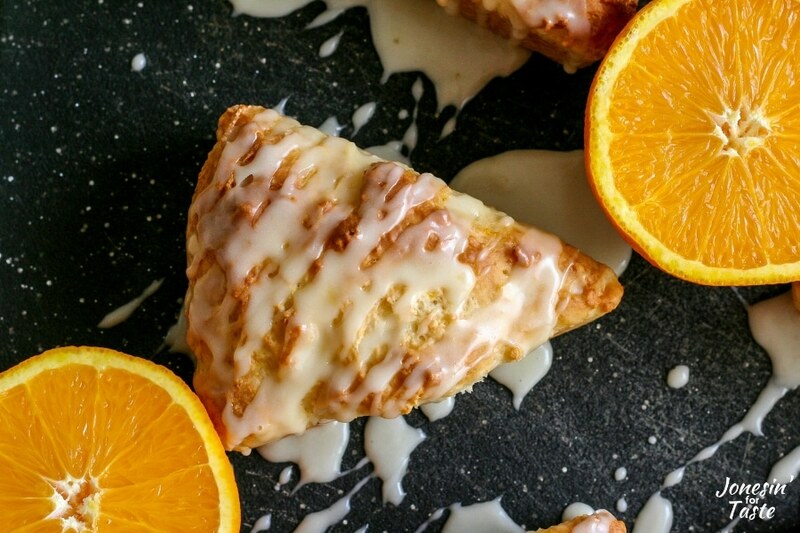 Although I made orange scones this time, you could easily swap out the orange juice and zest for lemon juice and zest or even lime juice and zest. I want to try making a lime and mint version later! I used a cookie scoop to measure out the mixture into each section for the scone pan. This made it easier to keep the mix consistent between each section. 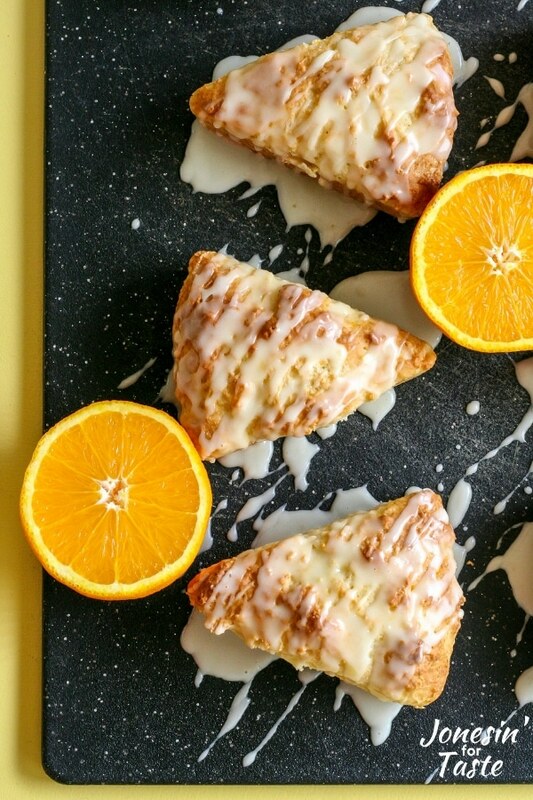 Orange yogurt scones with an orange glaze are an easy breakfast alternative to muffins made with fresh orange juice and yogurt that are a hit for brunch or even dessert!